14/02/2019 We’ve got some great reviews of our EP! This time by White Room Reviews. This Friday October 18th My Own Army will support Donnerwetter at Bibelot in Dordrecht. The band plays at 21:00. We hope to see you there! Yes! My Own Army will be playing the 200 by the Sea festival in The Hague together with acts like Ronnie Flex & Deuxperience, Splendid and Hallo Venray! My Own Army plays on September 27th at 20:45 in Seelab (Duinstraat 55). The evening’s promoter is Vestrock. Another summer festival for the Army! The band has been booked for Muzikale Helden Festival in Hellevoetsluis. My Own Army starts at 13:30 hours so be on time! With a great EP release party behind us and a rockin’ performance at the Tinte Summer Festival, My Own Army is ready for a well deserved summer break. Make sure to check out our music on iTunes and Spotify or buy one of our CDs at the RVP Records store! Of course, if you can’t make it you can also purchase the CD for EUR 4 from our record label, RVP Records. Support alternative music and hopefully see you on June 29th! Almost ready! 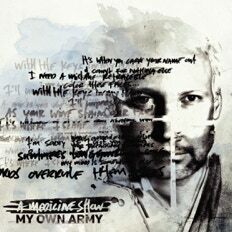 Our brand new EP entitled A Medicine Show, is almost ready for release. The artwork and master production have gone to the presses. The EP will be released on June 29th with a release party at NL3 in Wateringen. It’s going to be a blast so make sure you’re there! More information soon to come on tickets. Rock on! 01/01/2018 Back in the studio! November has marked the first recording sessions of our new EP. The bass and drum tracks are now being edited and mixed by Hans Pieters of The People’s Noise. Work on the artwork is underway as well as preparation for the recording of the guitar parts, which will take place in January. The vocal tracks will be recorded in February. We anticipate the EP release will take place in April after we complete mixing and mastering. Of course the release will be complemented by a small promotional tour. The venue for the EP presentation has been booked, but we’re not disclosing it yet 😉. Have a happy New Year and rock on in January! Mark June 30th in your calendar cause My Own Army will be playing a brand new set live in Cafe De Speeltuin in Breda at 10 pm. Entrance is free for all ages. Be there! 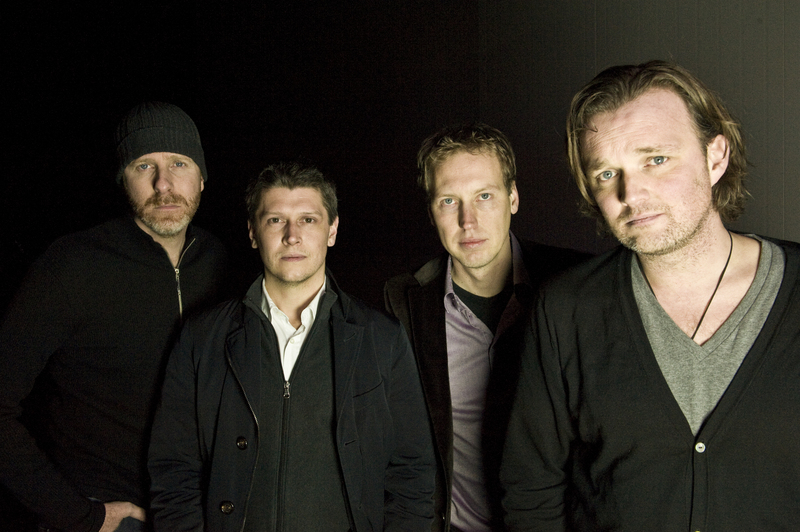 With over a decade of making music together, one could call My Own Army veterans of the Dutch rock scene. They have toured around the country in their years and seen bands come and go, in a music genre that unfortunately does not have the popularity it once had in the 90s and early 00s. So, what is it that motivates these guys to continue experimenting musically? What keeps these guys so driven? What inspires them? Naturally, it’s their love of music. But, there is more to it than just that. With two EPs and a full-length CD behind them, all demonstrating musical growth and experimentation, it seems the band wants to place its own stamp on the music genre that they are a part of and that they love. Where most other bands stop or switch genres when their musical and creative contribution has been exhausted, My Own Army perseveres, relentlessly testing their musical boundaries when bringing their unique sound and musical writing style to the table. 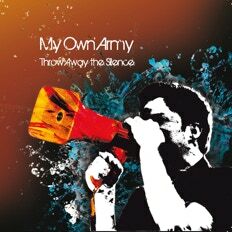 In 2010 the band released its debut EP entitled Throw Away the Silence, recorded under the indie label DGR Music. 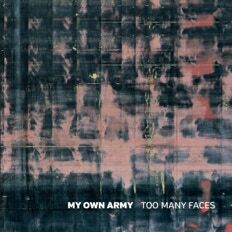 In 2014, the band continued their musical development and recorded Too Many Faces, a full-length CD released under RVPrecords. As 2016 rolled around, the band began to struggle with their musical identity, ushering in a year of sabbatical from performing live. This gave the band time to concentrate on their sound, the structure of their songs and, all in all, their musical identity. As a result, the band has written ten new songs in the last year, five of which they have recorded in 2017 and 2018 and have released on the 29th of June 2018 as a new EP. 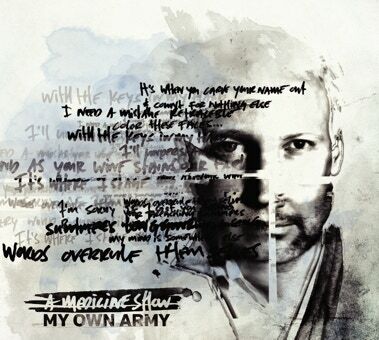 Inspired by bands like Oceansize, Soundgarden, Elbow and Tool, My Own Army is continually looking to surpass their boundaries both musically and lyrically. The band gives a strong and energetic live performance of approximately one hour, mixing a bombastic bass-and-drums-driven rock sound, with melodic and atmospheric vocals, backing vocals, and wailing lead guitars.